Celery belongs to a class of plants known as stalk or stem vegetables, so-called because we eat their firm stem, or stalk. 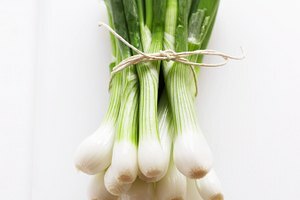 Several other stalk vegetables closely resemble celery in form, although they usually cannot be directly substituted. Cardoon stalks look quite similar to celery, but their flavor is closer to that of an artichoke. 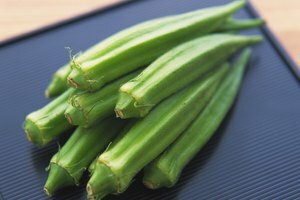 Cardoons are highly fibrous and only edible when cooked; they feature most prominently in Italian cooking. Peel cardoons first with a vegetable peeler, then cut and dip into acidulated water before they turn brown. Cardoon stalks can be boiled, steamed or breaded and fried. They are a traditional accompaniment to the hot anchovy and oil dip known as bagna cauda. Chard is a leafy vegetable that comes in a rainbow of shades, from red to yellow to white. Both the leaves and the stems of chard are edible; it is the ribbed stalks of white chard that most resemble a white celery stem. Chard stems can be pickled, cooked in a gratin, chopped and sauteed or even eaten raw. Chard stems have a mild vegetable flavor. Rhubarb's bright red color will likely prevent anyone from confusing it with celery, although its ribbed stalks bear a superficial resemblance. 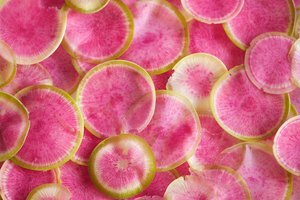 Rhubarb's flavor is famously tart; paradoxically, it's often treated as a dessert vegetable and made into jams and pies, which allows the cook to incorporate a great deal of sugar to offset its natural flavor. It can also be used in a sweet-tart sauce for meat. Chinese celery is a relative of the celery plant, with thinner stalks and more leaves. 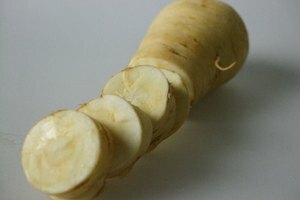 Its flavor is stronger than celery, both grassier and a bit peppery. 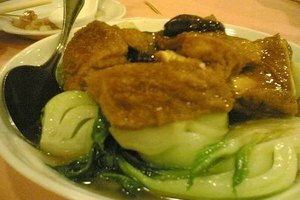 Because of its stronger flavor, it is almost always served cooked. Add it to soups and stir-fries.